Substantial two bedroom first floor apartment with incredible sea views from balcony. This apartment has a good size living room with floor to ceiling windows and bi-folding doors opening onto the private balcony with uninterrupted sea views. There is a modern dining kitchen with new appliances under guarantee again with breath-taking views. There are two double bedrooms both with very modern en-suite bathrooms with the highest spec fittings and a separate guest WC. This apartment comes with two car parking spaces. Rare opportunity to acquire an individually designed luxury apartment located in the stunning area of Fairhaven. 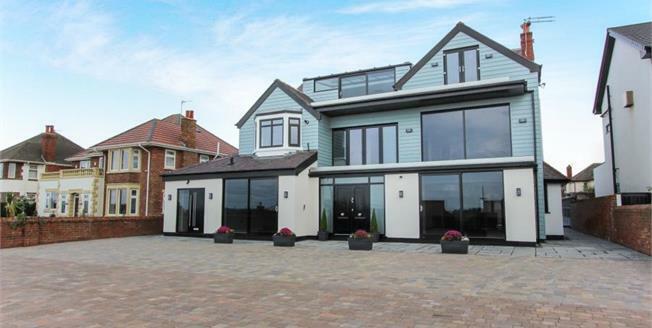 The four unique, luxury two bedrooms apartments offer the most beautiful uninterrupted sea views on the very sought after Inner Promenade of Fairhaven in Lytham St Annes. They have all been finished to the highest standard and each apartment offers something completely special to suit your idea of luxury living whether you prefer private gardens or sea view balconies one of the apartments will definitely inspire you. There are two parking spaces per apartment. As well as ben fully renovated to the highest standard throughout they have been finished with hi-end features such as video door entry systems, bi-folding doors in each, modern en-suites, bathrooms and kitchens. Each apartment has a very different design and feel but all offer luxury living and must be viewed to appreciate the magnificence and opulence of these prestigious apartments.